U2 frontman and AIDS activist, Bono was on hand at the Clinton Global Initiative meeting where he announced that his Product (RED) partner Apple has raised over $65 million for the charity organization. Apple has been one of (RED)’s most prominent partners, dating back to the Steve Jobs days when the (RED) iPod was first launched. Since that time, Apple has helped raise over $65 million by selling (RED) products. TechCrunch notes that $15 million of that sum was raised since February 2013, according to internal Apple numbers they’ve heard. 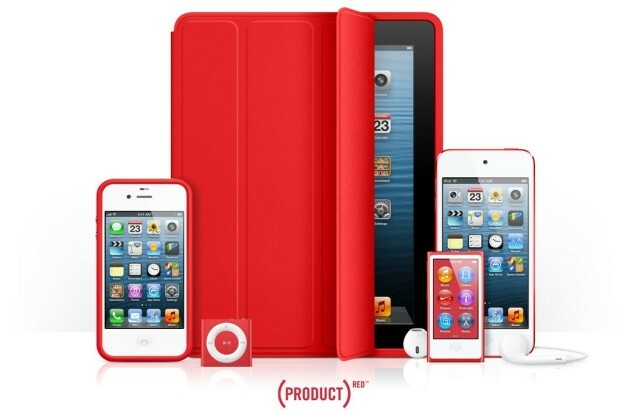 While Apple doesn’t sell a (RED) variant of its two most popular products – the iPhone and iPad – Apple does sell the iPod Touch, iPod Nano, and iPod Shuffle in (RED) versions, along with a (RED) bumper for the iPhone and (RED) Smart Cover for the iPad. A percentage of gross profits from those products go to the Global Fund to help fund AIDS programs in Africa.